As digital media and social platforms move to the core of marketing communications, budgeting among creative services agencies is getting increasingly tricky. Agency owners and managers tend to budget annually and then put the budget on the shelf until the following year. 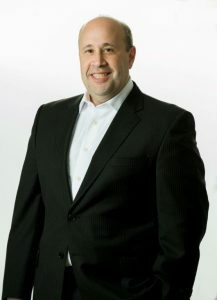 But to get a better hold on which dollars are performing better on behalf of clients (or not) firms need to be more flexible when budgeting, according to Michael Belfer, accounting and audit partner at Anchin, Block & Anchin and practice leader for the firm’s Public Relations and Advertising Industry Group. Looking at the numbers once a year no longer works for such a rapidly changing business environment. Michael Belfer strongly advises that PR firms budget more frequently than annually. Belfer recently spoke to Gould+Partners about how creative services agencies can wring more value from their budgeting efforts. Gould+Partners: With digital spending starting to eclipse traditional media spending, what are some of the ways agency owners can manage their budgets more effectively? Michael Belfer: You have to be able to move pretty quickly. They need to be flexible,update budgets more frequently and see how their budgets fluctuate between digital and traditional media channels. Often, agencies lock in their budgets and that’s the last time they look at them for a year, whereas they should be revamping budgets throughout the year. Gould+Partners: As the various lines within the marketing universe blur, does it make more sense for agencies and firms to have fewer P&Ls? Belfer: No. Agencies still need to look at traditional lines of business and monitor business practices separately. It’s hard to merge practices together without causing conflict and not being able to react quickly enough when a specific line of business is not performing well. It is important to be able to detect efficiencies and issues earlier in the process. Gould+Partners: In light of all the changes in creative services do you think there are budget areas that agency owners should consider dialing back or increasing? Belfer: Not necessarily. What they need to do is on a monthly basis monitor actual performance [of dollars] versus the budgeting. They need to allocate resources accordingly and see where the money is being spent. That’s why it’s crucial to see which channel is performing best and to check the channels on a regular basis. Gould+Partners: Is budgetary management training something that PR agencies need to ramp up? Belfer: It’s not training per se, but focusing on it more closely. For example, looking at actual versus budgets results could lead to better budgeting for the rest of the year, which makes budgeting a more meaningful exercise. Monthly monitoring is also a good tool for discussions within senior management and gives owners a better sense of what’s going on. Budgets shouldn’t be written in stone; they could be adjusted several times a year. Your budgets will be a lot stronger and more mobile, as opposed to waiting till the end of the year and having an accounting firm come in and tell owners how their budgets performed.